Digital currencies are assets that are used for the exchange of values, goods and services in the real world and all of them are based on blockchain technology. The dash is one of the most stable and most widely used digital currencies in the world of cryptocurrencies. In the previous article titled What is ethereum? Learn more about this cryptocurrency, we explain a little more about how this cryptoactive works based on intelligent contracts whose unit of value to execute transactions is the ether, however, given that there are more than 900 cryptocurrencies currently and each one of them is different in its way of working, today we want to expand a little more the information about the Dash, so that when investing a more appropriate decision can be made. 1 How does the Dash cryptocurrency work? 2 On what is this technology based? 3 What is the Dash DAO? How does the Dash cryptocurrency work? 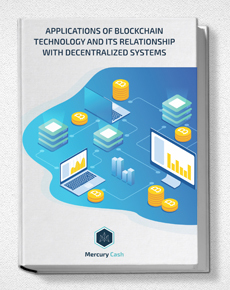 It works under blockchain technology, with open source and free circulation for everyone, like all other cryptocurrencies and was developed in 2014 under an algorithm known as X11 that gives it unique characteristics that facilitate the exchange, speed and security of transactions and in addition to that, it has management mechanisms and support for entrepreneurs. Dash can divide your unit into smaller fractions, making it possible to send and receive minimal quantities through the network. This can be done instantaneously and privately thanks to the instantsed and privatesend technologies that are made with cryptographic algorithms that work to hide and enhance transactions within the blockchain data network. On the costs of Dash, it can be said that its commissions are up to 200 times cheaper than those of other cryptocurrencies such as bitcoin, which makes it much more accessible to the general public and makes its use more feasible in everyday life, that is why it is one of the cryptocurrencies that has found the greatest number of applications in the world today. On what is this technology based? All Dash technology is based on two very well structured levels: the miners and the master nodes. The miners need a great power of processing since they are in charge to register the transactions and to record the blocks of the chain. The master nodes in turn confirm the transactions and uphold the unique services of Dash. The jobs of each of the levels have a “reward”, that is how the profits are divided: 45% for mining, 45% for the owners of the master nodes and 10% for the treasury. This is known as the first completely successful autonomous decentralized organization within the economy based on blockchain technology. What is the Dash DAO? The Dash DAO, also known as “decentralized governance” by blockchain, is a structure that allows owners of master nodes to vote to decide what will be done with 10% of the treasury that has been obtained as a profit from the operations of the miners. They also have the power to decide on the changes made to the code, updates, improvements, marketing, proposals and projects without having to depend on external sponsors or any other type of financing. This has made it the only decentralized autonomous organization that has been successful in the world of cryptocurrencies. The DAO (Descentralized Autonomus Organization) also represents a boost for entrepreneurs who can get funding for their ideas and projects by registering them at dashcentral.org so they can get support through the funds of the treasury. The DAO as an organization has achieved, through funds from the treasury, sponsorship of martial arts athletes, aeronautical shows, scholarships for university students, sponsorship and financing of technological events and also the financing of educational projects such as Dash Venezuela, or Dash Global Meetup. 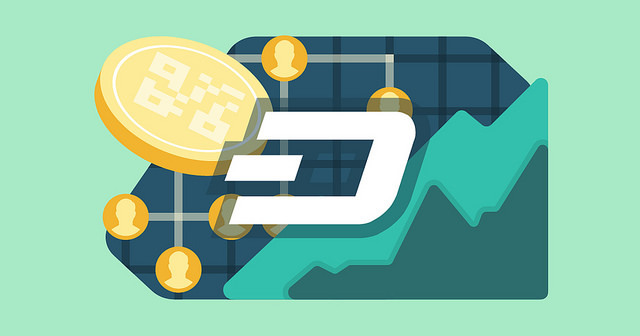 This type of projects and integrations that have arisen from the central team of Dash and the projects financed by the treasury, have helped that the use of this cryptocurrency has spread worldwide and also have been able to create new exchanges, platforms of conversion and applications to protect the known data also like wallets or wallets. The latest innovation of this cryptocurrency is Dash Evolution, which is an application that will give a new perspective on the use of wallets, allowing the use of the alias in the chain of blocks and inclusion, also integrating tools for financial companies and you can even get a directory of shops, all in a completely friendly and easy to use platform even by those with little knowledge of technology. What do you think about this topic? Did you know all the applications that the Dash cryptocurrency has? Image of Dash Blockchain Technology via Flickr.com under creative commons license.